Nokia Lumia 1020 goes on sale in India for ₹49,999 (INR) / $819 (USD) / €605 (EUR) with 41 MP camera and 4.5-inch AMOLED screen. 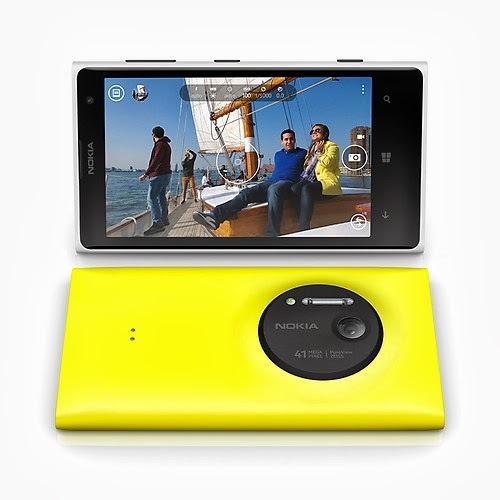 The Lumia 1020 is powered by Windows Phone 8 OS, and is the only smartphone with a 41 MP camera. The Nokia Lumia 1020 comes in Black, White, Yellow colors and Nokia is giving away Nokia WH-530 stereo headphone worth ₹2999 (INR) absolutely free. The new Nokia Lumia 1020 comes with a big 41 MP rear camera with PureView technology and Optical Image Stabilization (OIS), 4G LTE (optional) and NFC (optional) support, 4.5" AMOLED super-sensitive touch screen, Windows Phone 8, 1.5 GHz dual-core Qualcomm Snapdragon S4 processor, 2 GB RAM, 2000 mAh battery, 32GB on board storage and HD 1.2 MP wide angle front camera.